Our very first issue of The Write City Review is here! 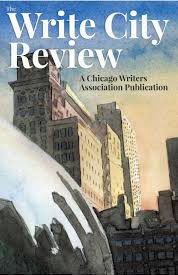 The Write City Review is CWA's inaugural literary journal; an anthology of poetry, short stories, essays and book excerpts drawn from the Chicago Writers Association’s online publication, The Write City Magazine. 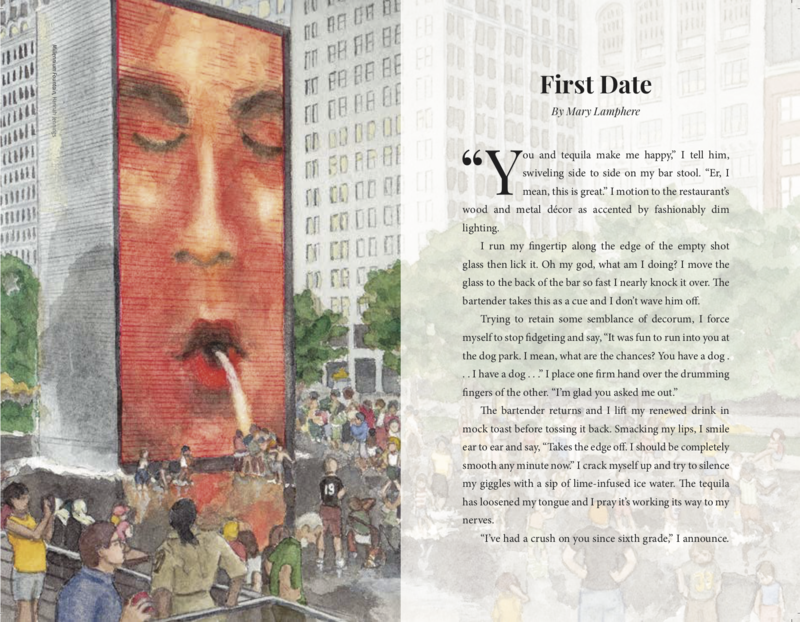 The book includes beautiful color and black and white photographs of watercolors, sculptures, drawings, photography and mixed media created by Chicago Writers Association members. Written pieces in the book include award-winning writing such as “On the Way to Heaven”, a first-person account of 9/11, by Catherine Underhill Fitzpatrick and “Deer Story” from Patricia Ann McNair’s award-winning short story collection The Temple of Air. Contributors include: David W. Berner, Debra Borys, Dan Burns, Emily Calvo, Valentina Cano, Catherine Conroy, Genevieve Davis, Bob Francis, James Finn Garner, Catherine Underhill Fitzpatrick, Robert Grassel, Bob Grove, Qetesha Haynes, Samantha Hoffman, Bree Housley, Carrie Jackson, Hannah Jennings, Patty Johnson, Len Kuntz, Mary Lamphere-Author, Jackie Mantey, Kelly Maryanski, Patricia Ann McNair, Charlie Monte Verde, Richard Novak, Randy Richardson, Audrie Roelf, Erick Sierra, Clayton Smith, Bill Vernon, Tricia Wagner, and Sheila Kelly Welch. Show your support for your fellow writers. Purchase your copy today to immerse yourself in the journal, get inspired, and submit your own work for publication consideration in a future issue.